"The inclusion of someone else's actual words or paraphrases, ideas, or data into one's own work without acknowledging the original source. The included material must have appropriate citations such as footnotes or quotation marks and identification of the sources, published or unpublished, copyrighted or not copyrighted." 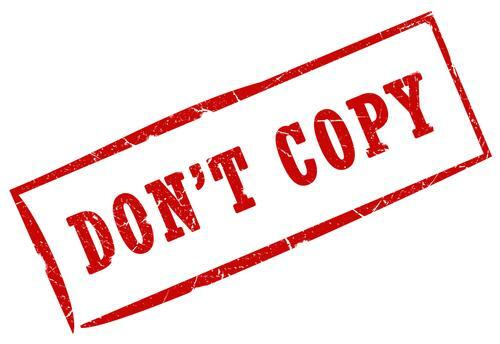 Find out more about what is considered plagiarism, why is it wrong, and how it should be avoided. The Delgado Community College Writing and Research Handbook was written by Delgado faculty Sean Munro and Monica Mankin. It is licensed under a Creative Commons Attribution-NonCommercial-ShareAlike 4.0 International (CC BY-NC-SA 4.0), and is considered an Open Educational Resource (OER). Please see our guide for more information about Open Educational Resources. Writing Center is located in Isaac Delgado Hall, City Park, Bldg. 1, Room 216W. Please call 504-671-6338 for updates. - Tutoring Services: One-to-one tutoring is available on a walk-in basis (no appointment necessary) to students enrolled in English Composition courses and other writing-related courses at Delgado. - Grammar Skills Materials: Grammar diagnostics and materials, including audio tapes and computer software, are available in the Writing Center to assist students in improving their English grammar skills. - Writing Center Computer Lab: Computer Lab Services are available for students enrolled in English composition and writing-related courses who are working on writing projects and research. Only writing-related projects may be printed in this lab. **Note: In order to print in the Writing Center Computer Lab or Library, students must swipe their Delgado PIcture ID Card. These cards are issued to all registered students in the Bldg 1 Annex, Rm 127W, City Park Campus from 8-4:30pm Monday-Friday. A citation is the information needed to locate the article (or book) you are interested in reading. Citations are also used to help readers of your papers go to the information you used. CitationMachine, CiteThisForMe and EasyBib are websites that can help you create citations automatically.